This is not an article about supporting Yuvraj Singh. This article will not ask you to blindly support Yuvi. This article will simply state facts and sprinkle a few good numbers about the prince and his exploits. The decision rests with you and only you. As an unbiased writer, I will only tell you what went down. A multi-talented individual right from the beginning, Yuvraj Singh had his U14 National Roller Skating medal thrown away by his father. His father wanted him to focus on cricket and only cricket. Imagine yourself in the same situation. Most of us would languish and fade away into nothingness. 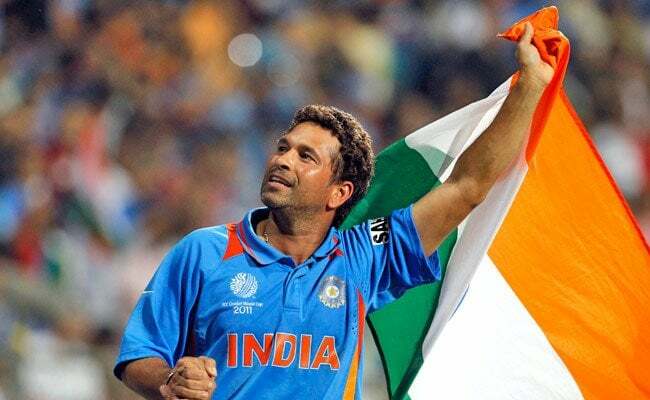 But the indomitable spirit of this born achiever opened the chapter of cricket in his life. What happened next has already been mentioned in several articles, books, reports and record books. A star was born, dwarfed and then reborn. Was it just a natural endowment? Or was it the impregnable self-confidence of a restless individual. Yuvraj Singh has written and re-written history books with the flick of his wrists and the speed of his bat swing. The class is visible and the talent is unique. The skill will sweep you off your feet and the ability to comeback stronger than ever is simply unbelievable. Such is the case of Yuvraj Singh and such is the beauty of his game. You are awestruck and hypnotized by the personality of Yuvraj Singh. And this is even before the ball touches the willow. Yuvraj’s contribution stretches over 14 glorious years. Years gifted with good times and marred by unforeseen circumstances. This one time, he was a young Indian sledging the great Steve Waugh. He was fearless, daring and very much focused. And then, this one time, he collaborated with a certain Md. Kaif to ensure that Sourav Ganguly could proudly take off his shirt and wave it from the Lord’s balcony for the world to see. The Natwest Trophy might be forgotten for now, but it won’t be long before you go to YouTube to experience those moments again and feel good about being an Indian. Yuvraj’s contributions should not be a part of an article. They should be embedded in our minds. No seriously, take a U-turn before you opine. Maybe some of us spoke too soon. Maybe we judged too soon (as always). Battling cancer was never going to be easy for Yuvraj Singh. But battling cancer and several opponents in what would be Indian cricket team’s most respected player’s last world cup was a task even the greatest would say no to. Do you remember when Yuvraj said this during the ICC World Cup 2011? We all know who that person was. Yuvraj Singh was the nucleus behind Sachin’s world cup dream. Yuvraj Singh was the MOS in that tournament. But that wasn’t a big deal for Yuvi. Why? Because he is a tournament specialist, that’s why. He has three MOS awards in three ICC World Cups. It’s very strange right? How we simply forgot about that? No worries, he’ll still perform for us. He knows we’re all a bit naïve. Go ask Stuart Broad about the man Yuvraj Singh. Go discuss it with the greatest of the game before you write him down as a liability in your flawed balance sheets. Go argue with the God of Cricket, Sachin Ramesh Tendulkar, before you call for Yuvraj’s farewell. I challenge you to find me one professional who will agree with your baseless onslaught against Yuvraj Singh. He has been the building block of your countless moments of joy and happiness. Yuvraj Singh is not just a player, he is a warrior. And let me tell you something about warriors- Nothing, absolutely nothing, can dampen their spirit. Not even a frustrated, confused and jobless social media population. Yuvraj Singh scored 6 runs off 8 balls. MS Dhoni scored 4 runs off 7 balls. Virat Kohli scored 6 runs off 8 balls. So, who’s the culprit? Let me answer that before you throw some ridiculous answer at me. Nobody is the culprit. As true cricket fans, we should be applauding the efforts of Malinga and his team. They did a fabulous job in restricting the most destructive batting line-up in world cricket. Is your denial of Sri Lanka’s skillfulness the reason behind your hatred towards Yuvraj? If that really is the case, then you need to step down from Jupiter and try watching the game from Earth… because things are different in this real world where the matches take place. We as fans have a right to keep high hopes. We have every right in the world to expect our team to win every match they play. But can we stop the forces of nature? Is it not necessary to taste defeat in order to relish victory? Now imagine if Flintoff had never taken off his jersey when in India. The joy of watching Sourav Ganguly waving his t-shirt at Lord’s would be half of what it really was. This is how the game works. We as fans need to assess our situation before we get judgmental about selfless individuals like Yuvraj Singh. Pelting stones at a sports-person’s house will only prove how little we know about the game of cricket. You keep going Yuvraj Singh, your fans are just a little confused. Previous articleSachin Tendulkar, on game of Cricket & Backing of Yuvraj Singh. Next articleFastest Test Hundred by Viv Richards.